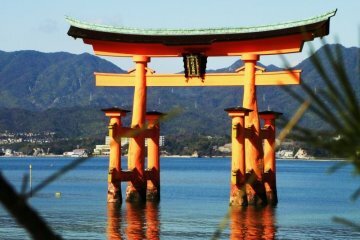 A brief walk from the World Heritage A-bomb Dome and less than a minute walk from the Hondori streetcar stop is Hiroshima Hondori's ICHIRAN. Located on Hondori, Hiroshima City’s bustling shopping arcade and in the heart of the downtown area, ICHIRAN offers the original Hakata-style tonkotsu ramen experience. 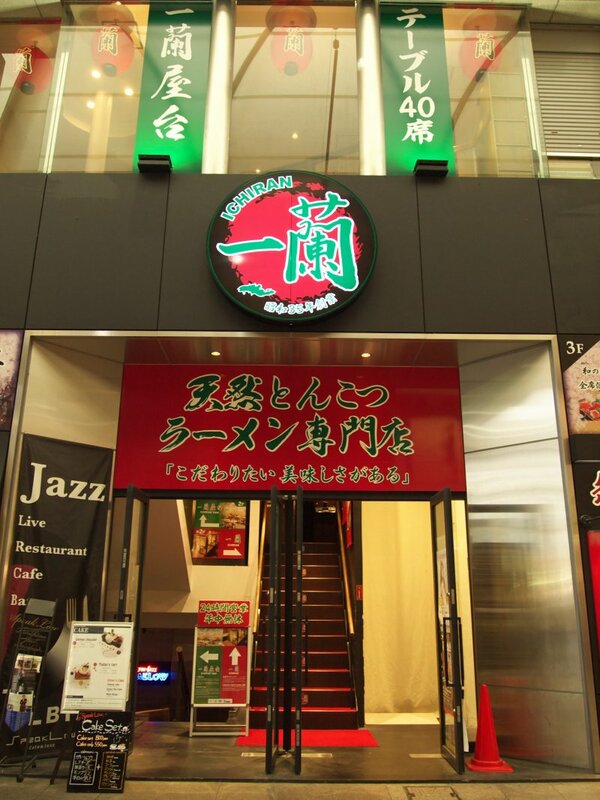 ICHIRAN has its roots in Fukuoka. 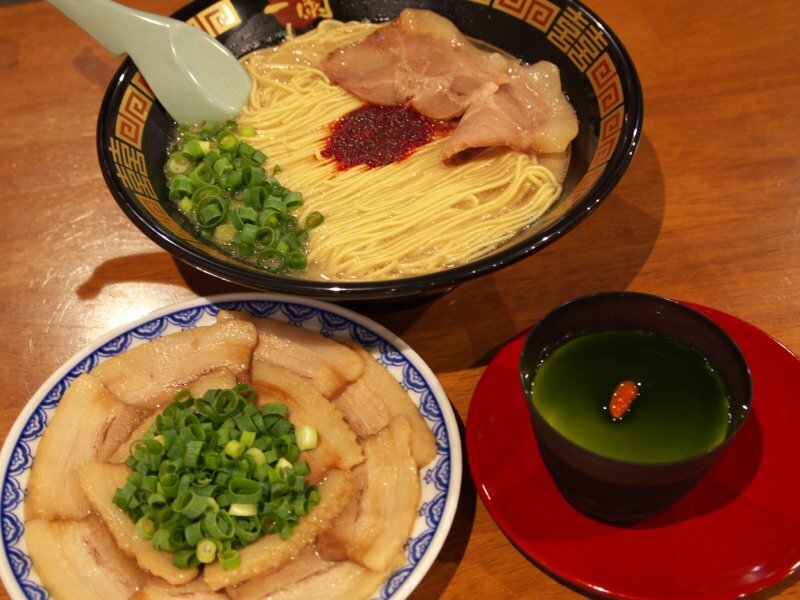 Now ICHIRAN has 52 branches across 15 prefectures throughout Japan and 2 restaurants in Hong Kong, always introducing people to Hakata tonkotsu ramen and ramen culture. 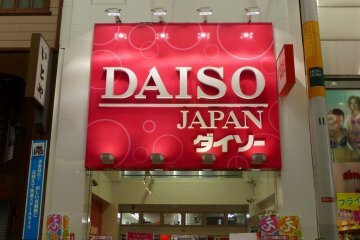 Their concept is simple: only one type of tonkotsu (pork-base) ramen is offered. 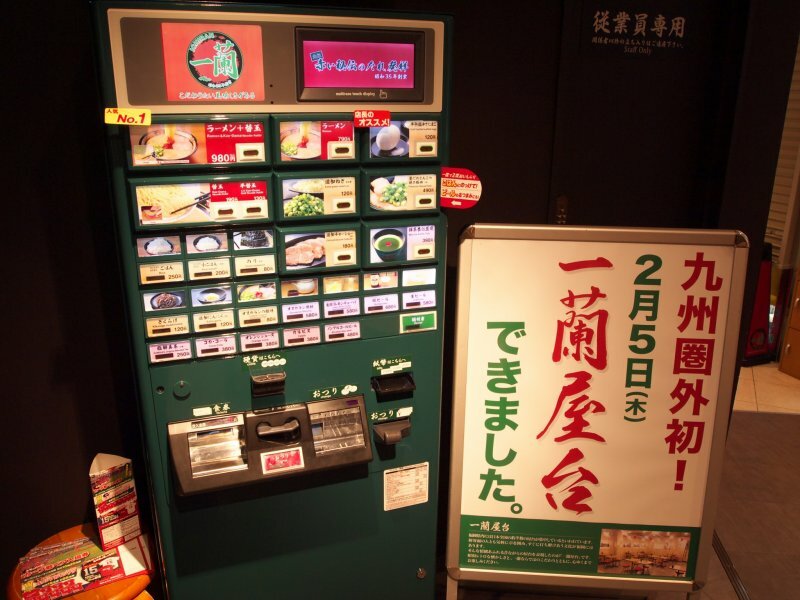 Customers buy their meal tickets at the ticket vending machines (buttons both in English and Japanese) located at the entrance. 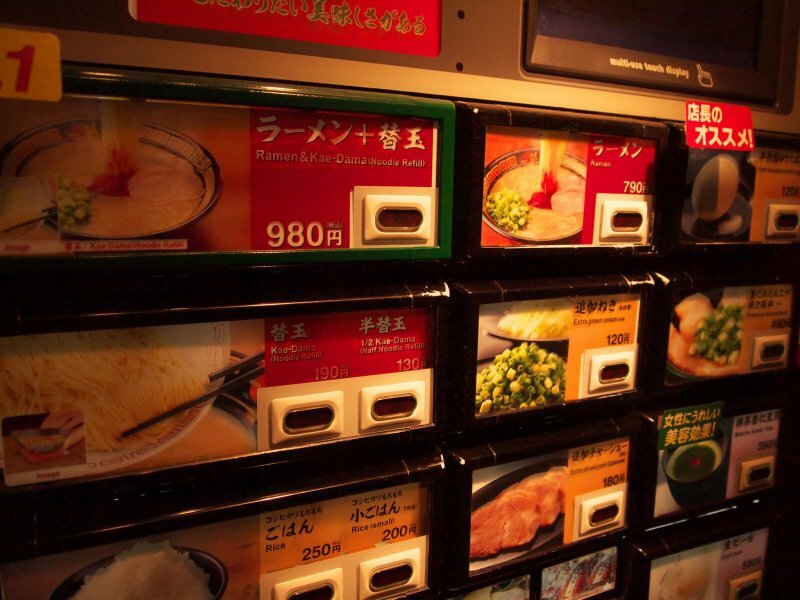 Once they find a seat on the Vacant Seat Information Panel, the customers proceed to the counter where they customize their ramen to their preference using an order sheet. 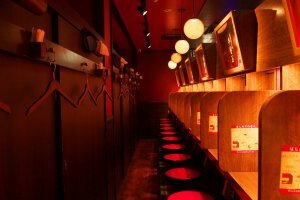 The counter is divided with partitions into private one-person booths in a dimly lit, long and narrow room. 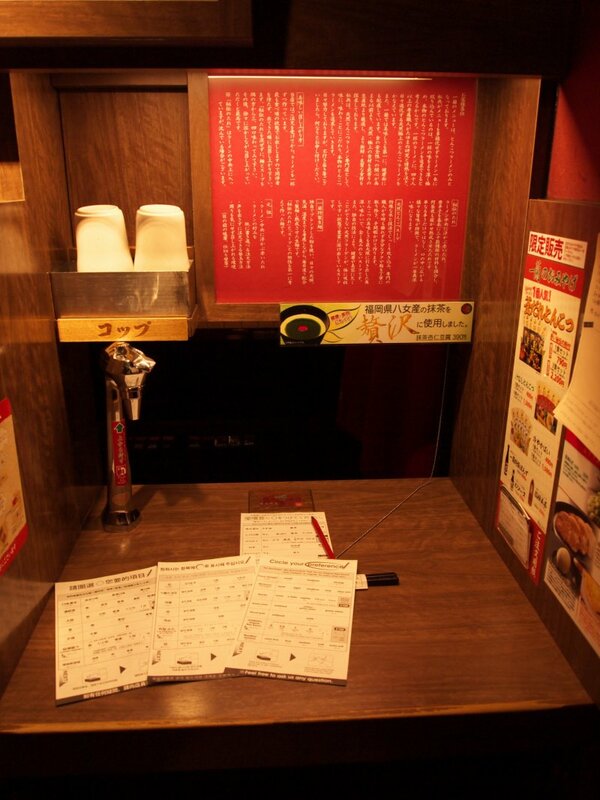 Staff members serve the ramen from behind a Japanese curtain at the front of each booth. 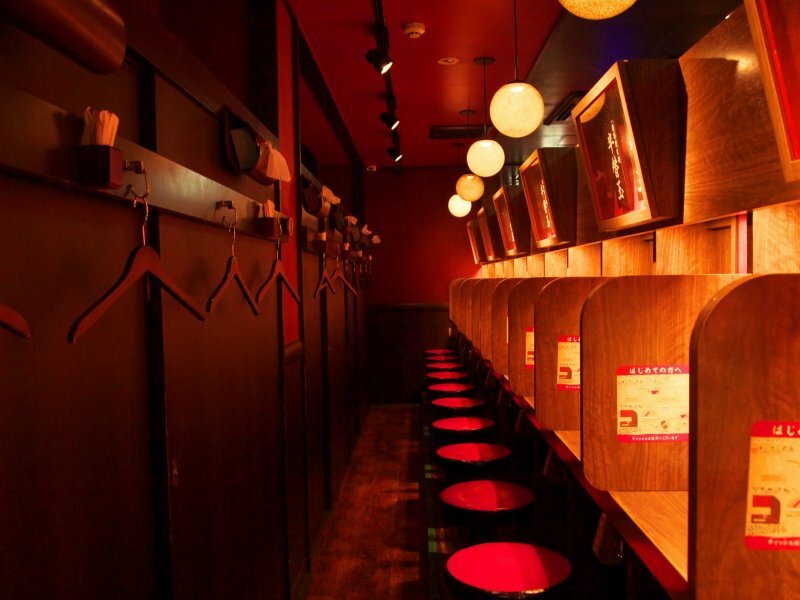 These booths are said to allow diners to concentrate on the flavor of their ramen more intensively. 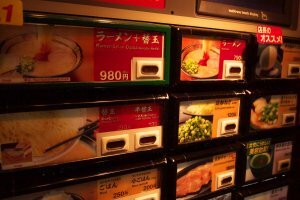 Order sheets are placed at every counter space, which customers use to customize their ramen, from the richness of the soup to the firmness of the noodles. 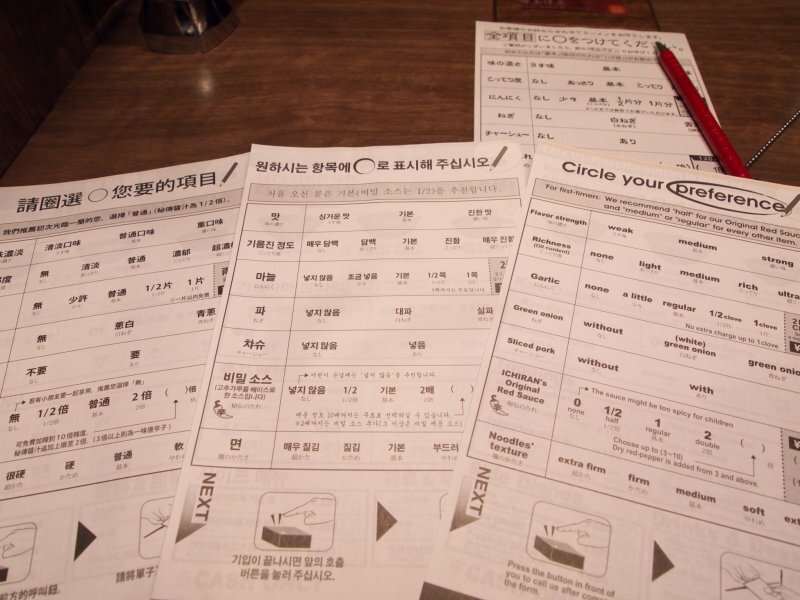 These are available in Japanese, English, Korean, and Chinese. 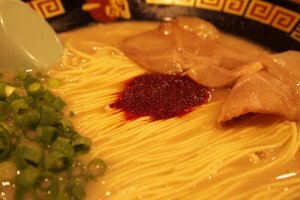 ICHIRAN's basic option of ramen is topped with green onions (green and/or white), char siu (sliced pork) and a dollop of ICHIRAN's Original Red Sauce, a spicy sauce that gives the ramen an extra kick. 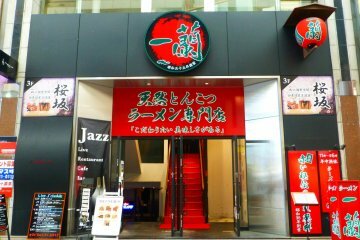 Extra char siu, sliced Kikurage mushrooms, half-boiled salted egg, and other toppings are also available. 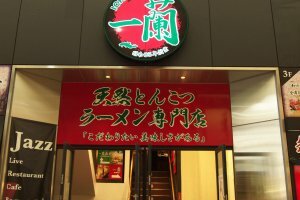 Tonkotsu ramen is characteristic for having a strong smell, but ICHIRAN's ramen has no such smell. 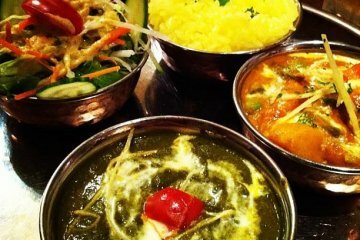 The noodles are thin and easy to slurp down. 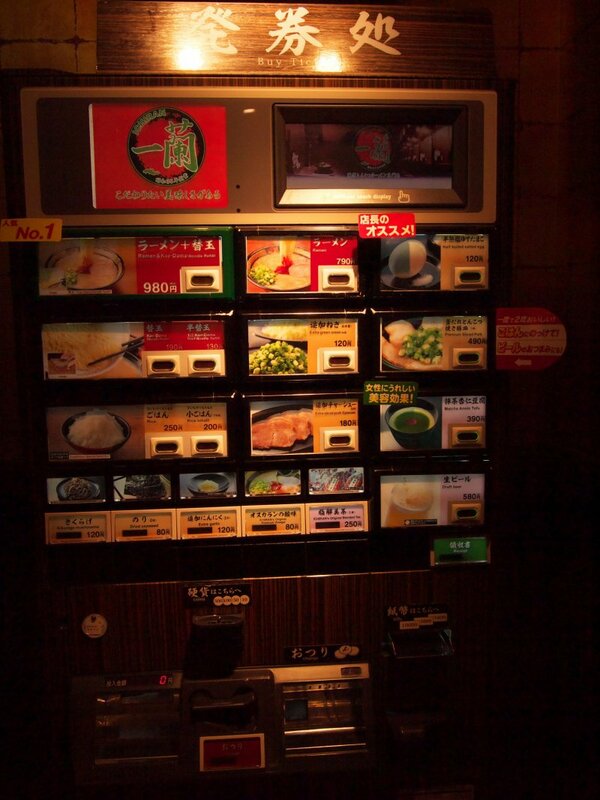 Kae-dama, or “noodle refill,” is a part of Hakata ramen culture. 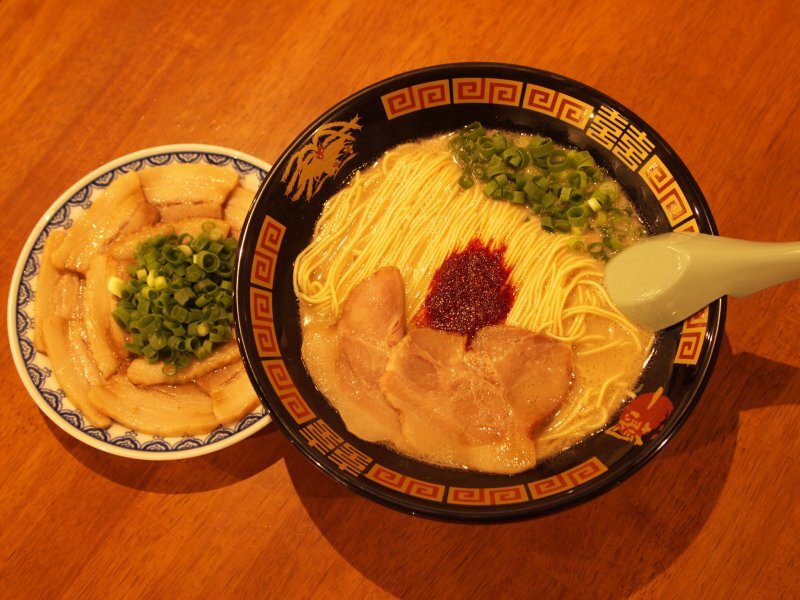 It’s a way to continue enjoying ramen without worrying about the texture of your noodles changing in the soup. 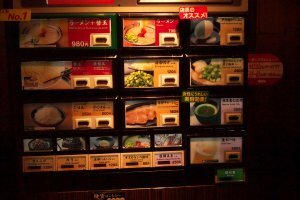 If you order a kae-dama set, you will be given a small tray to place on the call button at your counter when making the order. 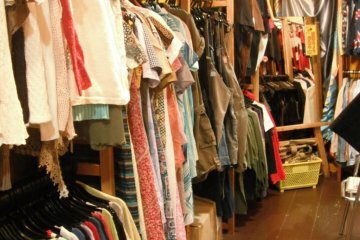 Then it plays a cute, retro horn melody. 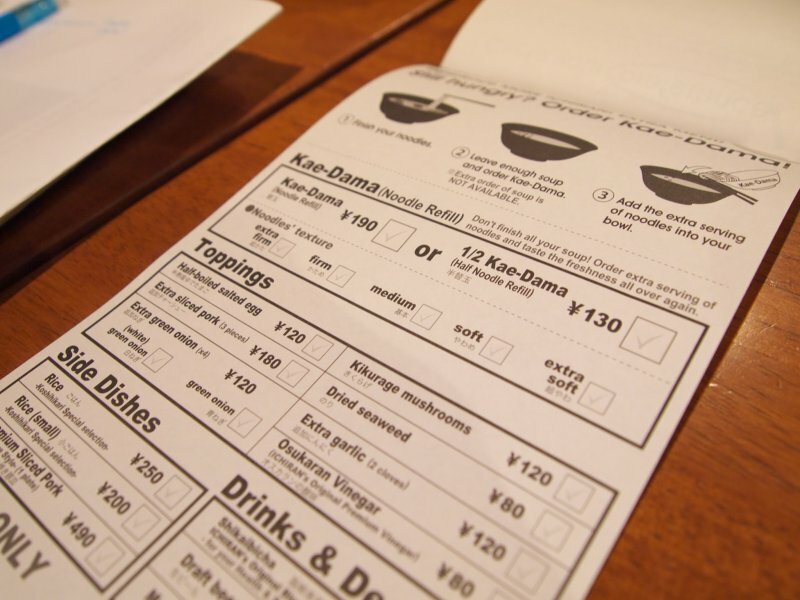 Even without the tray, kae-dama can be ordered by pushing the call button and handing the staff your order sheet and money. 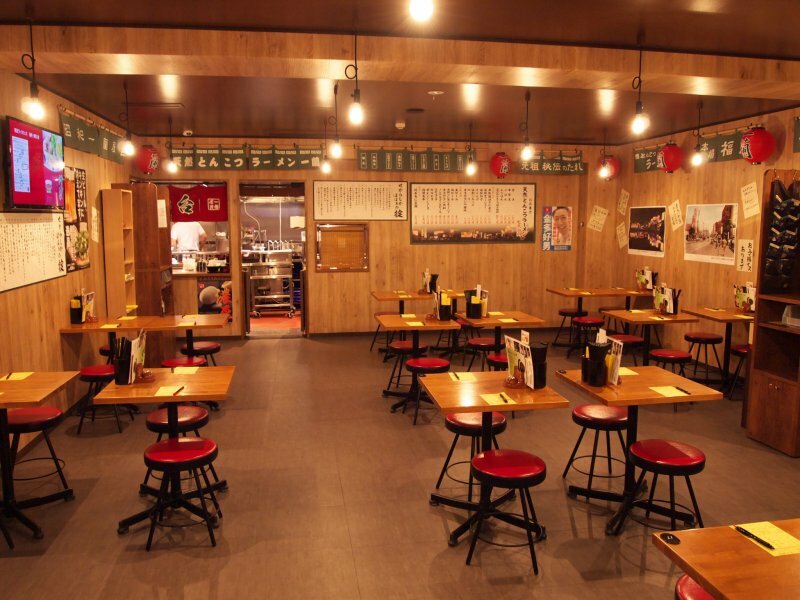 Larger groups may find the upper yatai floor more accommodating. 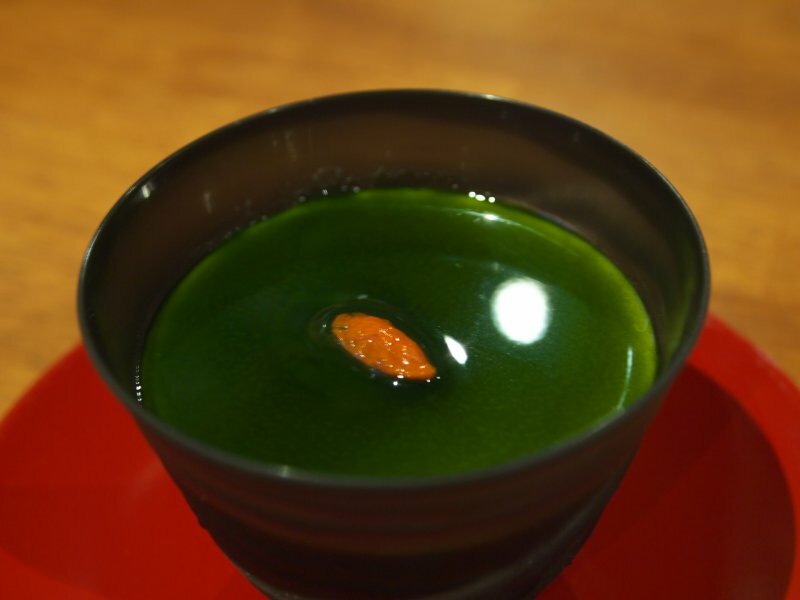 In Fukuoka, outside food stalls known as yatai line up along the river in the Nakasu area and ICHIRAN has re-created that atmosphere indoors. 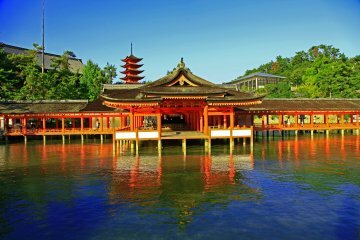 The Hiroshima Hondori location is the first ICHIRAN outside of Kyushu to incorporate a yatai theme. 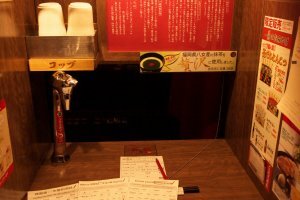 The yatai floor offers soft drinks and alcohol, along with yatai exclusive dishes of yaki-buta sara (premium grilled sliced pork – Kamadare-style) and matcha annin tofu. 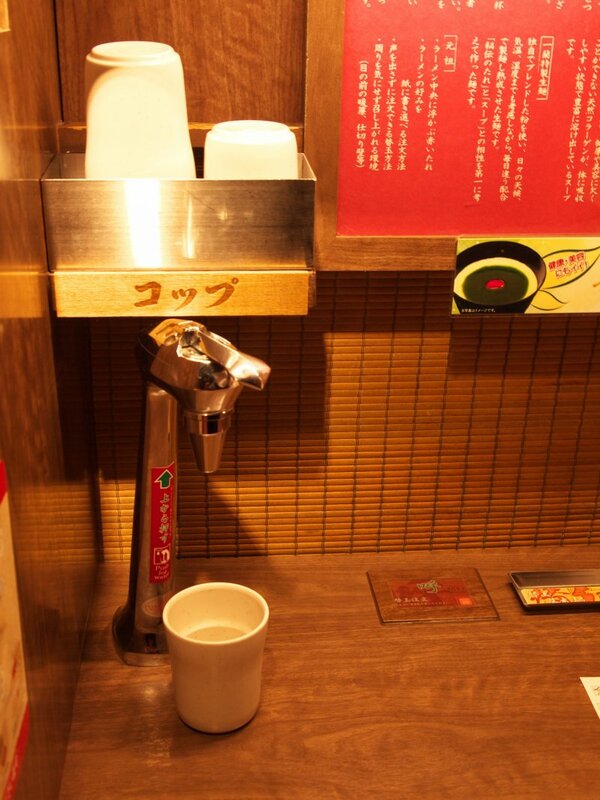 The atmosphere of the yatai floor is inviting and lively. Posters of the Showa era (1926–1989) Fukuoka adorn the walls, red lanterns hang from the ceilings, and retro music plays in the background. 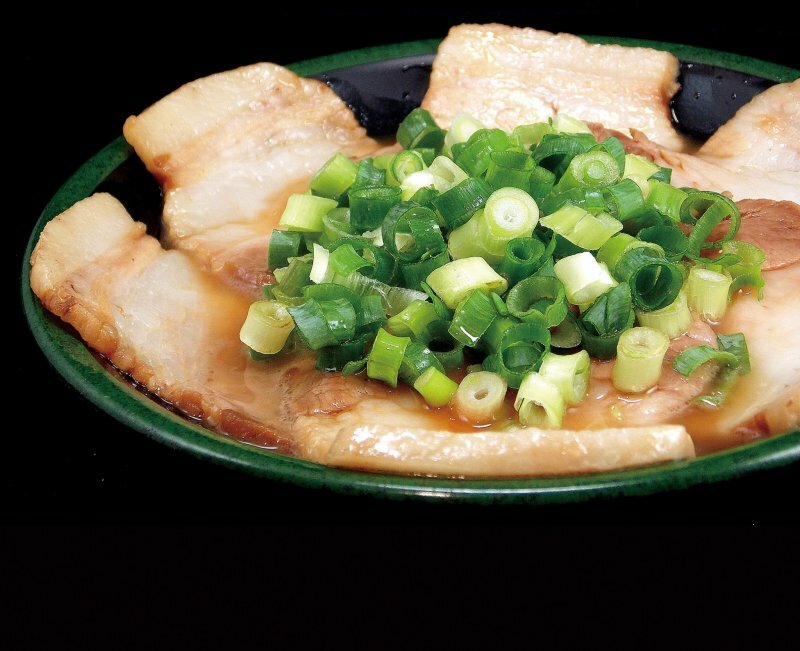 The staff recommended having the premium grilled sliced pork with beer, a popular choice among many customers. 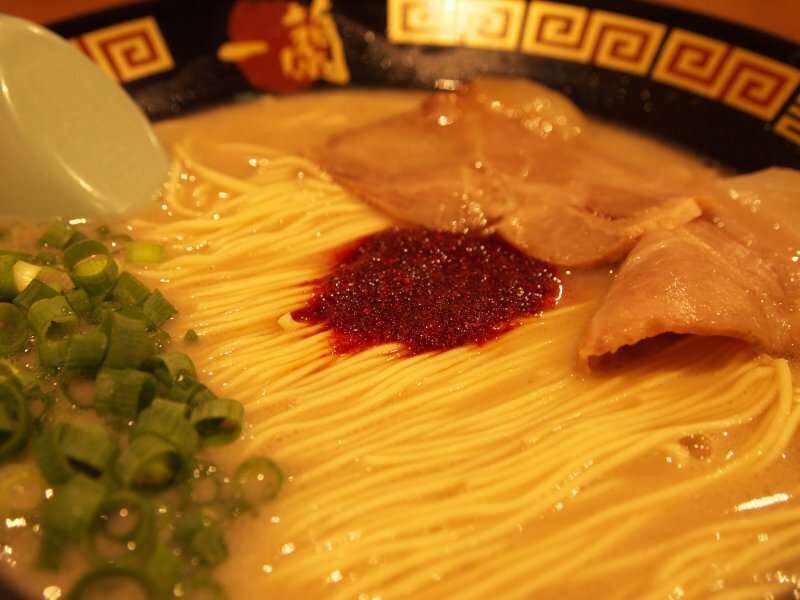 ICHIRAN Hiroshima Hondori is open 24 hours a day, 7 days a week to satisfy your ramen cravings!